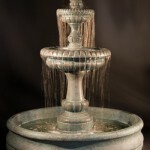 Our Als garden art tiered fountains at Elite world of fountains offers the unique artistry collection of our Fiore stone, Als garden art Outdoor Tiered Water Fountains can make any garden, Landscaping, home or business even more beautiful . 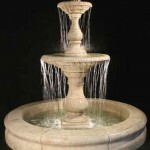 Our concrete outdoor tiered fountains are made of the highest quality craftsmanship to give you years of enjoyment. 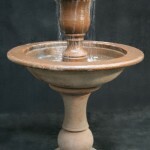 Each fountain piece is hand finished from your choice of a variety of stains and washes, then refired to protect the finish. 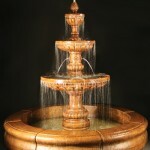 When placing your order for garden fountains or water fountains please indicate the finish you want for each selection. 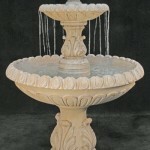 Basins and bowls pictured are included in price unless otherwise noted. 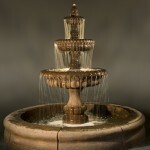 Pumps included on all fountain orders with the exception of Waterfalls and on fountains noted otherwise. FREE SHIPPING! Click on any image for more information.